Fastest professional slalom board; quickest turning, responsive pumping, smoothest riding. 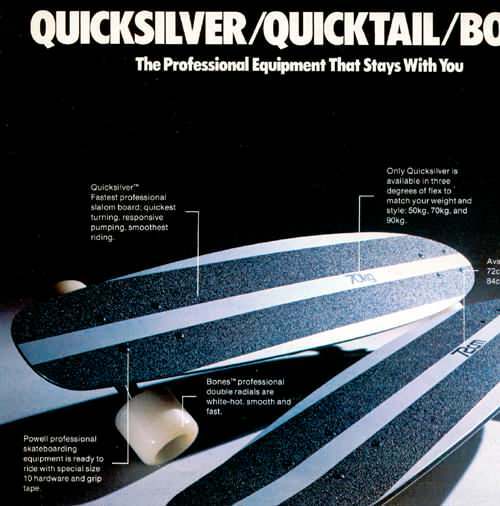 Only Quicksilver is available in three degrees of flex to match your weight and style: 50kg, 70kg, and 90kg. Powell Professional skateboarding equipment is ready to ride with special size 10 hardware and grip tape. Bones Professional double radials are white-hot, smooth and fast.